NASA’s New Horizons probe recently completed a historic flyby of The planet Pluto. The 700 million dollar (£451 million) probe, which is the size of a baby grand piano, blasted off from Earth in January 2006, and journeyed a distance of three billion miles at a speed of more than 36,000 mph before making a historic flyby of the planet Pluto on Tuesday 14 July 2015 at more than 45,000 km/h (28,00mph) at 12.49pm BST / 7.49am ET on a trajectory which brought it within 12,500km 7,700 miles of Pluto’s surface. NASA’s New Horizons Probe is bristling with cameras and other technology As well as a telescopic camera, the probe also carries a suite of sophisticated instruments and other instrumentation for analysing Pluto’s composition and studying its atmosphere as it sped past Pluto and its five small moons, Charon, Styx, Nix, Hydra and Kerberos. NASA’s New Horizons Probe is also carrying onboard the ashes of Clyde Tombaugh, the astronomer who discovered Pluto in 1930 using a 13-inch photographic telescope at the Lowell Observatory in Flagstaff, Arizona. Today’s encounter with Pluto also coincides with the 50th anniversary of the first ever fly-by of Mars by the Mariner 4 probe. Scientists believe that Pluto has a thin atmosphere of nitrogen, methane and carbon dioxide, which expands as the dwarf planet’s elongated 248-year orbit takes it closer to the sun causing icy material on its surface to vaporise. And may bear signs of past volcanic activity and could even have liquid water beneath its frozen surface. The spacecraft will also take a look at Pluto’s giant moon Charon, which is just over half its size, as well as its other moons Styx, Nix, Hydra and Kerberos. Images beamed back from New Horizons so far have shown Pluto in shades of red and orange, with hints of valleys, mountains and craters. On Tuesday Nasa released a new image of Pluto. The picture was taken at about 9pm BST / 4pm ET on 13 July, when The spacecraft was 476,000 miles (766,000 km) from the surface. Images show that a thin nitrogen atmosphere clings around Pluto and scientists believe that it sheds snow, with flakes tumbling down to the surface before vaporising back into the atmosphere. Other measurements from the probe have found that Pluto was larger than previously thought, at 2,370km across. The larger size means that it is probably less dense than had been presumed, and so has more ice under its surface. It is 1,473 miles in diameter, according to information from the Long Range Reconnaissance Imager attached to the New Horizons craft. 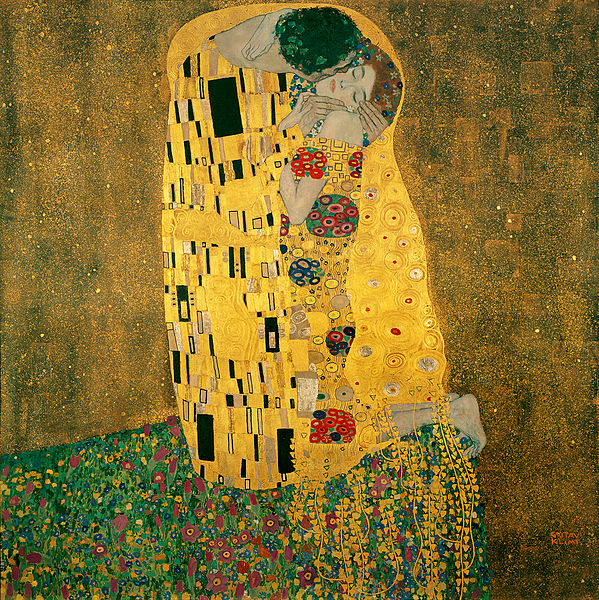 Austrian symbolist painter Gustav Klimt was born July 14, 1862, he was one of the most prominent members of the Vienna Secession movement and is noted for his paintings, murals, sketches, and other art objects. Klimt’s primary subject was the female body. Born in Baumgarten, near Vienna in Austria-Hungary he displayed artistic talent early on but lived in poverty while attending the Vienna School of Arts and Crafts (Kunstgewerbeschule), where he studied architectural painting until 1883.He revered the foremost history painter of the time, Hans Makart and readily accepted the principles of a conservative training and his early work may be classified as academic. Between 1907 and 1909, Klimt painted five canvases of society women wrapped in fur. His apparent love of costume is expressed in the many photographs of Flöge modeling clothing he designed.In 1911 his painting Death and Life received first prize in the world exhibitions in Rome. In 1915 his mother Anna died. Klimt died three years later in Vienna on February 6, 1918, having suffered a stroke and pneumonia due to the influenza epidemic of that year and was buried at the Hietzinger Cemetery in Hietzing, Vienna. Numerous paintings were left unfinished. However those he did finish before his untimely demise have brought some of the highest prices recorded for individual works of art. In November 2003, Klimt’s Landhaus am Attersee sold for $29,128,000, and plenty of other examples of his work have also fetched vast sums of money at auction. Bastille Day is celebrated on July 14 and commemorates The storming of the Bastille, which occurred in Paris, France on the morning of 14 July 1789. The medieval fortress and prison in Paris known as the Bastille represented royal authority in the centre of Paris. While the prison only contained seven inmates at the time of its storming, its fall was the flashpoint of the French Revolution. In France, Le quatorze juillet (14 July) is a public holiday, formally known as the Fête de la Fédération (Federation Holiday). It is usually called Bastille Day in English.During the reign of Louis XVI, France faced a major economic crisis, partially initiated by the cost of intervening in the American Revolution, and exacerbated by a regressive system of taxation. On 5 May 1789 the Estates-General of 1789 convened to deal with this issue, but were held back by archaic protocols and the conservatism of the Second Estate, consisting of the nobility and amounting to only 2% of France’s population at the time. On 17 June 1789 the Third Estate, with its representatives drawn from the middle class, or proletariats, reconstituted themselves as the National Assembly, a body whose purpose was the creation of a French constitution. The king initially opposed this development, but was forced to acknowledge the authority of the assembly, which subsequently renamed itself the National Constituent Assembly on 9 July.The storming of the Bastille and the subsequent Declaration of the Rights of Man and of the Citizen was the third event of this opening stage of the revolution. The first had been the revolt of the nobility, refusing to aid King Louis XVI through the payment of taxes. The second had been the formation of the National Assembly and the Tennis Court Oath. 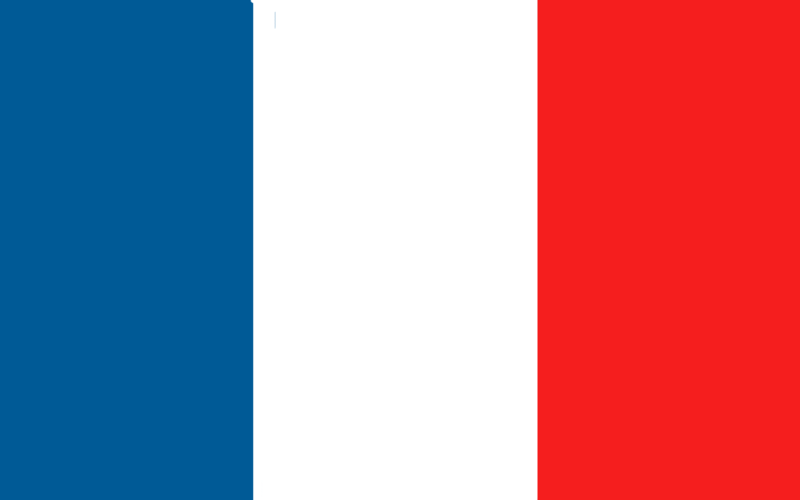 The middle class had formed the National Guard, sporting tricolour cockades (rosettes) of blue, white and red, formed by combining the red-and-blue cockade of the Paris commune and the white cockade of the king. These cockades, and soon simply their colour scheme, became the symbol of the revolution and, later, of France itself.